March 2015 IxCFO coverage in Etrepreneurindia.com – March 2015 edition on Outsourcing CFO. 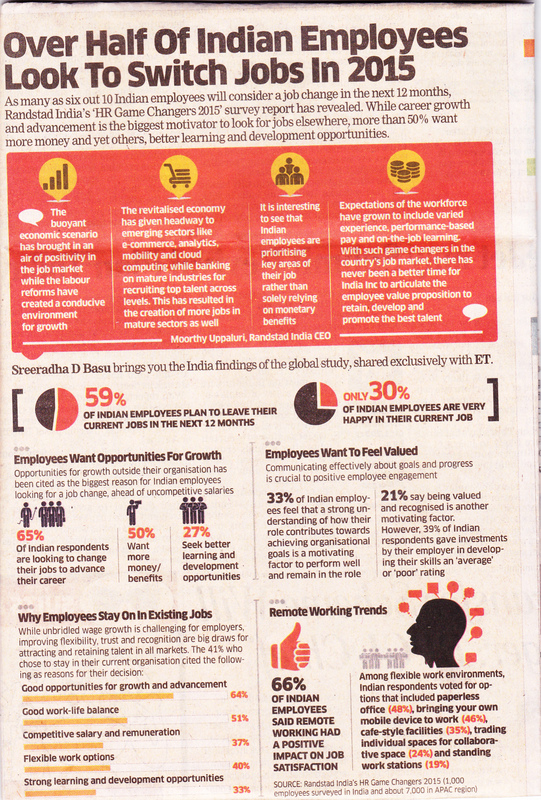 Enclosed is some of the findings published by Economic Times dated 26.12.2014, Mumbai Edition ( Attached herewith) on Employees survey about their expectation. We at IxCFO, firmly believes that outsourcing CFO/FC Services bridges the gap for SME/Emerging/Mid-size corporate with measurable proprietary engagement ( http://www.ixcfo.com/services.html ). With 4 years of rock solid experience, @ IxCFO our CFO/FC Partners get immense opportunities to grow with us in our outsourcing model with flexi-engagement model which is in line with ET Survey. This also gives solid advantage to our clients on skill, cost and knowledge pool of IxCFO with value pricing & getting rid of attrition issues in Finance function. Wishing great vacation time AND promising 2015 ahead on all count ! 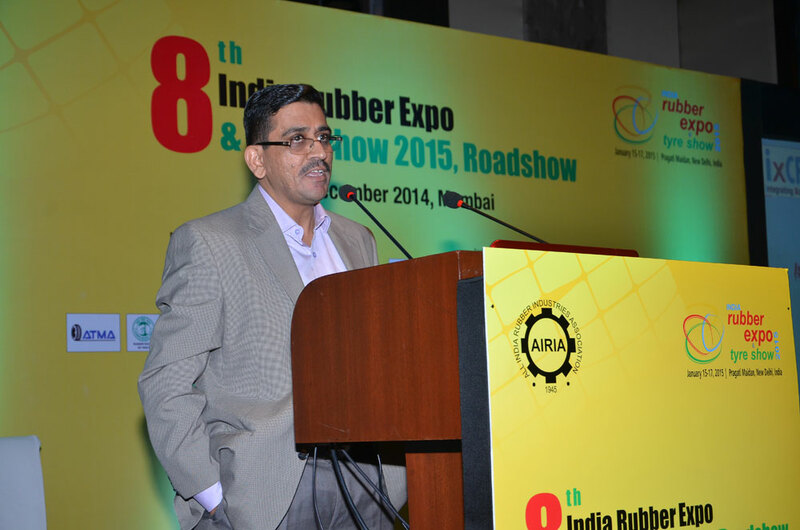 IxCFO has addressed Members of All India Rubber Industries Association recently on the subject @ their Rubber Expo Meet in Mumbai. IxCFO presented some strategic view points which SME business owner need to address while initiating growth in business to tap capital and scale with right mix of business & finance integration, covering importance of collaboration between CFO & CEO. 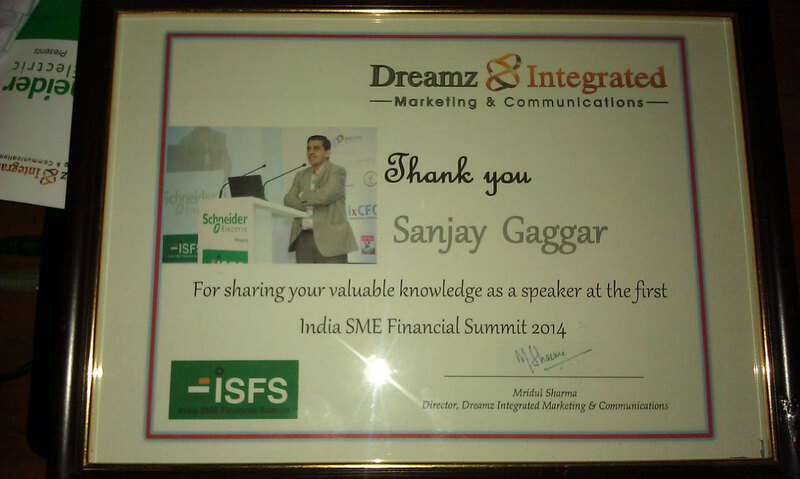 Please find an enclosed presentation sharing for your kind perusal. IxCFO continue to move in the market place with its unique proprietary engagement (http://www.ixcfo.com/services.html ) on its CFO Services offering with 35+ clients having Rs.1000 cr. plus clients aggregate revenue under CFO management. Look forward to serve & support. IxCFO continue to close record number of CFO Services mandate with its unique proprietary engagement ( http://ixcfo.com/services.html ) giving measurable impact on business & finance. Aggregate revenue of IxCFO's client under CFO Services mandate touches Rs.1000 cr +.